Jorhat to celebrate Vriksha Ropan Bihu on June 5 which has been initiated by The Forest man of India, Jadav Payeng. Kartik Chapori & Aruna Chapori, near 5 Number Mishing Gaon, Kokilamukh, 12 km from Jorhat, Assam. So, What is Vriksha Ropan Bihu? 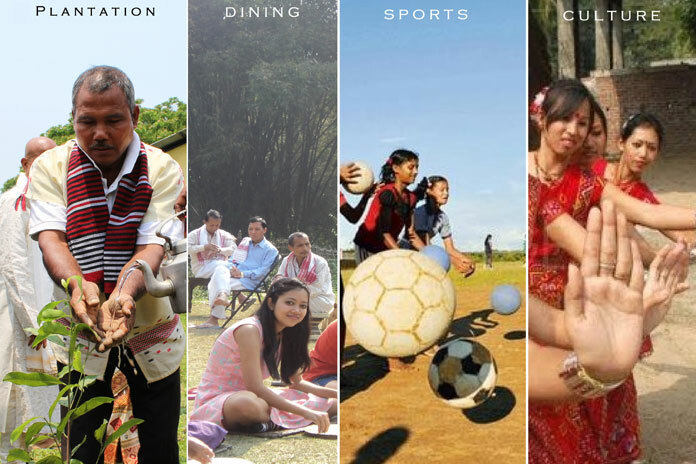 Vriksha Ropan bihu is an Eco-Cultural festival for promoting a “Green Assam Initiative”. This is to sensitize and mobilize citizens to act for the climate change mitigation along side of Bihu celebrations. Assam has lost 3085 sq.km of forest in last 28 years as per the Forest Survey of India reports. And In between 2013 to 2015, it lost 48 sq.km of forest. Means..average 110 sq. km forest loss in an year!! This plantation will be an example not only for Assam but for India & World. This plantation will grow with you all and expected to return the favors in terms of shade, fruits to your kids / next generation, fuel for the household, fodder for your cattle and creates an ecosystem for the birds and wildlife. How this festival to be celebrated? Plantation is the easiest climate change mitigation measure where every citizen can participate.